You can find protein within every single cell in your body. Your body breaks down every gram of protein that you eat into essential amino acids that keep every system in your body working efficiently. But unlike the carbohydrates and fats in your diet, your body doesn’t metabolize and store protein efficiently. This is why it’s critical that you consume protein daily for optimum health and wellness. How much protein you need is open to debate. The current recommended dietary allowance (RDA) is 0.8 grams of protein for every kilogram that you weigh, which translates to approximately 10 percent of your daily calories (1). If you aim for your RDA, you might avoid a protein deficiency, but studies also suggest that this base minimum isn’t enough if you want to look and feel your best. Many people find it difficult to increase their protein consumption from whole foods alone, as foods that are rich in protein can also be quite dense and heavy. Protein supplements offer a budget-friendly, convenient and portable way to enhance your protein intake. But before you run out and buy a protein supplement, it’s important to know that not all protein supplements are made alike. In fact, many protein supplements may do more harm than good. If you’re looking to take control of your health and experience optimum vitality, you’ll need to look beyond the simple nutrition facts. When shopping for the best protein powder, it’s not just about quantity (e.g., how many grams of protein are in each scoop), but it’s also about quality. Not sure where to start? We’ve prepared the ultimate checklist that you need. Review this list before shopping for a protein powder. For maximum health benefits, make sure the protein you buy fits the following important criteria. Walk into any grocery store or health food market and you’ll see rows and rows of protein products, from powders to bars to ready-to-drink shakes. With all the fancy names and shiny labels, it can be hard to filter through what’s marketing hype and what’s actually healthy according to the latest nutrition research. Educating yourself on what to look for when reviewing a protein supplement can help you to find the best product that supports your lifestyle and your goals. When you scan an ingredients list, you’ll notice that the various kinds of protein come in many different forms. These forms refer to how the protein powder was manufactured. While the protein might come from a whole food source, different extraction processes are used to take that whole food and turn it into a protein supplement. Protein concentrates are the most budget-friendly type of protein supplement. When it comes down to cost per gram of protein, concentrates usually deliver the most bang for your buck. 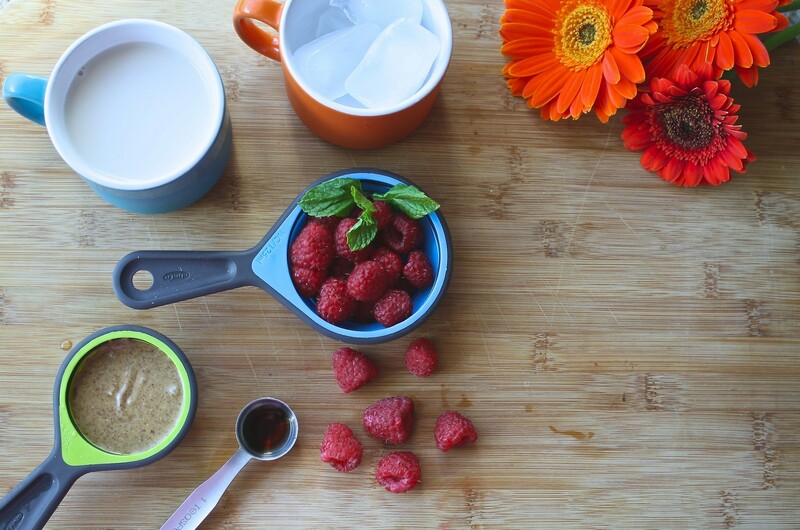 The whole food ingredient is run through a heat-based dehydration process. This results in a powder that can be up to 70 percent protein while retaining some of the whole food’s other nutrients. Protein isolates go through a more intensive extraction process with multiple steps and extra filtration. This removes almost everything, including fats and carbohydrates, except for the protein itself. This means a protein isolate can be up to 95 percent protein. The powder often has a thinner texture. Some people find this more preferable when making shakes and smoothies because it’s easier to mix and usually has little to no flavor of its own. You want to consider using a protein supplement that combines different ingredients and different extraction processes. An ideal protein supplement will combine isolates and concentrates, plus whole food ingredients that haven’t been so intensively processed. This way you get the best of both worlds, while also ensuring a complementary branched-chain amino acid (BCAA) profile. Whey concentrate or whey isolate, which comes from milk, is by far the most common protein source that you will find in protein powders. It’s also one of the most well-researched sources of animal-based protein, with dozens and dozens of medical journals measuring its benefits and its drawbacks. Many supplement manufacturers will tout studies that declare whey protein as the ideal protein source in a supplement. You’ll often hear references to its digestibility and amino acid profile. However, a growing body of research is highlighting the need for more plant-based foods in your diet, especially due to the standard American diet that the majority of the general population consumes. Are There Benefits to Single-Source or Multiple-Source Protein? Some people wonder if it’s beneficial to have protein from different sources or if they should stick to just one main ingredient. It’s important to remember that there are nine essential amino acids (amino acids that your body cannot produce on its own), plus non-essential amino acids and conditional amino acids. These amino acids form the building blocks of protein. For optimal health, it’s critical that you get the full array of amino acids throughout the day (6). The best way to do this is to ensure you’re getting protein from multiple food sources and ingredients. Not only does this help ensure you’re getting the full spectrum of amino acids, but it also gives you synergistic nutrients. For example, rice is low in the amino acid lysine and legumes are low in the amino acid methionine/cysteine. By combining the effects of rice and legumes, the amino acid profile is much more balanced with no issues of shortages of either lysine or methionine/cysteine in the protein supplement (7, 8). Are There Benefits to Adding Seeds to Your Protein? Some protein powders add seeds to the mix. Seeds and nuts are rich in essential fatty acids and protein, but they also include a wide range of additional health benefits. By adding more seeds to your diet, you take advantage of these wellness perks. For example, pumpkin seeds are incredibly rich in antioxidants and minerals that may help to reduce inflammation (9, 10, 11). Eating pumpkin seeds has also been linked to a reduced risk of common forms of cancer, including prostate cancer in men and breast cancer in women (12). Hemp is one of the richest sources of sulfur and other minerals, (13) and may have beneficial effects on cardiovascular health (14). Hemp is also high in both insoluble and soluble fiber (15), which can improve your digestion, move the protein and other food through your system, and may even help to moderate blood sugar levels after a meal (16, 17). Chia seeds are also rich in fiber, (18) which can help you feel full faster and longer. 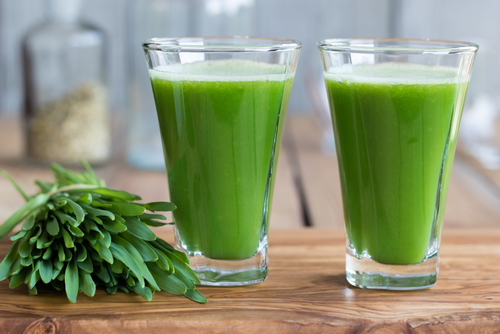 This in turn may help you with appetite control and weight loss. 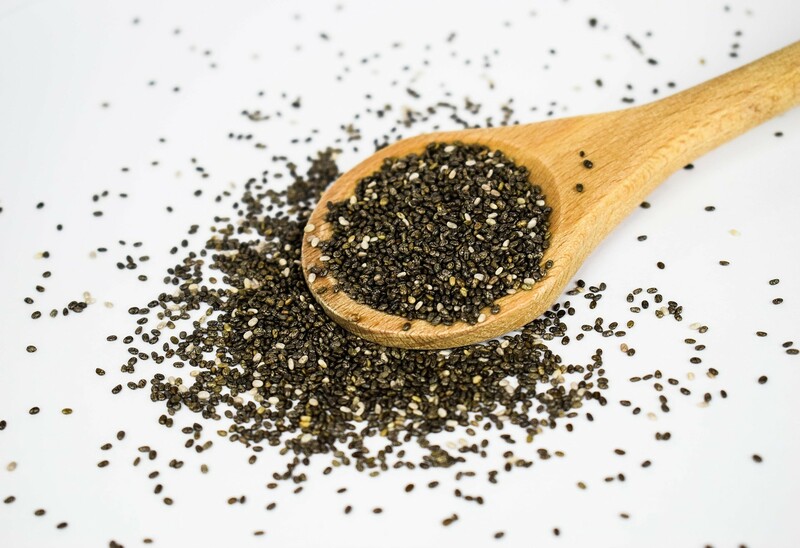 Animal studies also suggest that chia seeds can help you lose belly fat (19). If we are consuming too many acidic foods, they can make us more susceptible to sickness and disease by depleting our physical resistance to stressful situations. The minerals in seeds also contain alkalizing properties and when added to protein powder, provide it with a beneficial alkalizing power (20). These three seeds boost the protein content of your shakes while also conveying significant health benefits. When trying to choose between a plant- or animal-based protein source, many people still cling to the outdated idea that animal protein like whey is better for you. However, when looking at performance markers like strength gains, lean body mass maintenance, and recovery after exercise, several studies have found absolutely no difference in exercise performance when consuming either an animal-based protein like whey and a plant-based protein like rice (21). But remember, there’s more to health than just your outward appearance. How do you want to feel? How long do you want to live? When you look beyond the external markers, research actually paints a significant difference between animal- and plant-based proteins. This is big news for anyone who cares not just about their physical appearance, but about their true health and longevity. For example, 1.5 million Americans are diagnosed with diabetes every year (22), and diet plays a massive role in the development of what is one of the country’s biggest health care costs. A recent 10-year study that followed thousands of participants found that eating animal-based protein was associated with a higher risk of diabetes. Meanwhile, plant-based proteins were not associated with this higher risk (23). Other research studies looked at the role protein intake played on insulin-like growth factor 1 (IGF-1). IGF-1, a peptide hormone, helps the cells in your body to respond appropriately to human growth hormone (HGH). This can help with aging-related health problems like osteoporosis (24). But too much of a good thing can be a bad thing. Excessive levels of IGF-1 may more than double the risks of colorectal and breast cancer in women (25) and quadruple the risks of colorectal cancer in men (26). IGF-1 levels have been strongly linked with dietary protein. Interestingly, increased animal protein raises IGF-1, but plant-based proteins do not come with the same risk associations (27, 28). 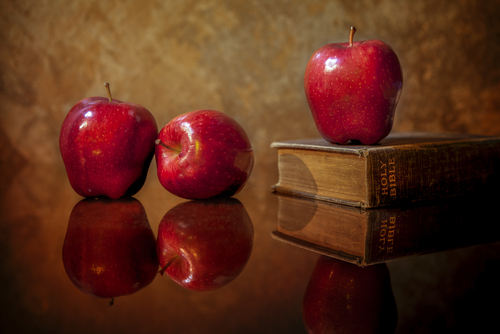 Dr. T. Colin Campbell has spent over 50 years researching the correlation between cancer and diet. In his book, The China Study, he detailed studies which found that rats developed abnormal growths that marked the beginning of liver cancer when they consumed above their protein requirement, which is 10-12% of their calories, as the milk protein casein. If the rats ate only 5% of their total calories as the milk protein casein, they remained free of tumours or there was a sharp decrease in the development of the tumours. Although this is true for casein, there is no evidence to suggest that it is for wheat protein, even when the rats were fed 20% of this protein in their diet. Thus, protein supplementation built around plant-based sources may reduce your cancer risks. Ingesting too much whey and animal-based protein may increase your risks of cancer. When compared to whey protein, which some people see as the benchmark for protein performance, two specific types of plant proteins have proven their worth. 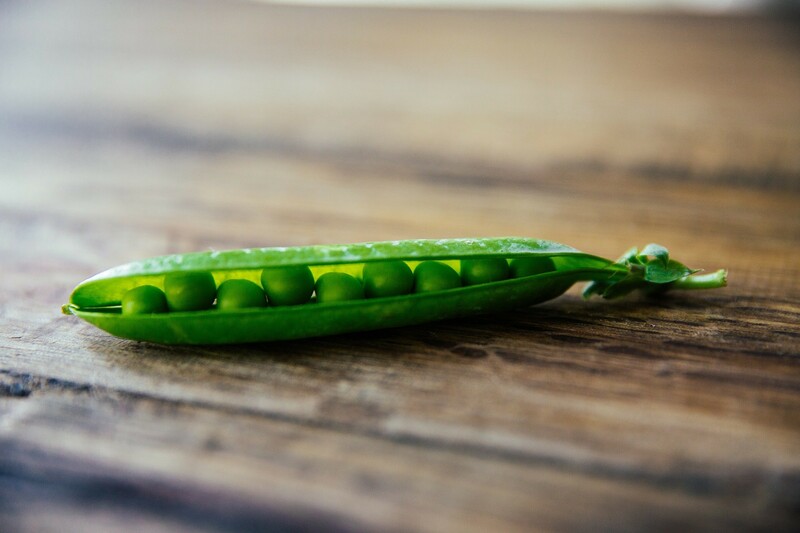 In a study of 161 participants, researchers found that pea protein outperformed placebos and was comparable to whey protein when it came to muscle growth improvements and strength (29). Another study compared rice protein with whey and found the plant-based protein just as effective as its animal protein counterpart (30). If you are comparing plant-based protein supplements, go with a product that contains both rice protein and pea protein. Compared to whey protein, plant-based proteins like rice and pea protein have been shown in to have the same effects on performance markers like muscle strength and recovery (31,32). Unfortunately, many people focus just on these performance markers and don’t consider food sensitivities, food allergies, food intolerances and overall digestibility. An estimated 65 to 90 percent of adults cannot digest dairy properly, with varying levels of milk sensitivities, dairy allergies or even lactose intolerance (33). In fact, dairy is one of the most common food allergens in America along with tree nuts and soy. This is terrible news for whey protein enthusiasts. Here you see, as you did with the cancer risks, the pros and cons of animal-based protein and plant-based protein. Many people experience digestive upset and other problematic symptoms when consuming a whey protein supplement. In contrast, rice proteins and pea proteins are actually hypo-allergenic and more easily digestible. While taking care of your health, you may also want to help protect the planet by using a protein supplement that supports organic farming. In general, organic farming uses methods of agriculture that are more sustainable for the environment (34). There are less heavy metals in organic produce and pesticides, if used, must be derived from natural sources (35). These factors can bring crossover benefits to your protein supplements, too. For example, foods made with organic ingredients may have lower levels of heavy metal toxins (36) and contain more nutrients (37). In contrast, some manufacturers use ingredients that work synergistically to add nutrients and health benefits. For example, some protein-dense foods are also rich in phytonutrients, antioxidants and minerals. Examples include seeds and nuts like pumpkin, hemp, coconut and chia. Not only are they filled with powerful plant-based protein, but they also support overall health and wellbeing. If you see these types of beneficial additives in a protein supplement, it may be exactly what you’re looking for. After a long night’s sleep, your body is in a fasted state. If you don’t replenish your system, your body could go into starvation mode, which scientists refer to as “adaptive thermogenesis” (38). Your body thinks that it’s starving, and thus it does everything it can to hold onto energy. This can lead to a slower metabolism and increased fat retention. Instead, take an organic plant-based protein shake as part of your healthy and balanced breakfast. Studies show that consuming protein for breakfast can increase energy levels and may lead to the prevention of disease (39). There are no benefits to consuming excess protein. Excess calories from protein can be stored as fat, the same as excess calories from other sources. However, people who are physically active generally need a higher protein intake than people who are sedentary. 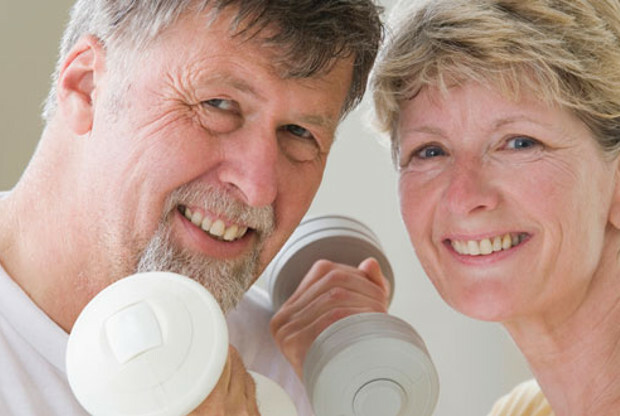 Studies have also shown that the elderly may need more protein to prevent osteoporosis and sarcopenia (40, 41). 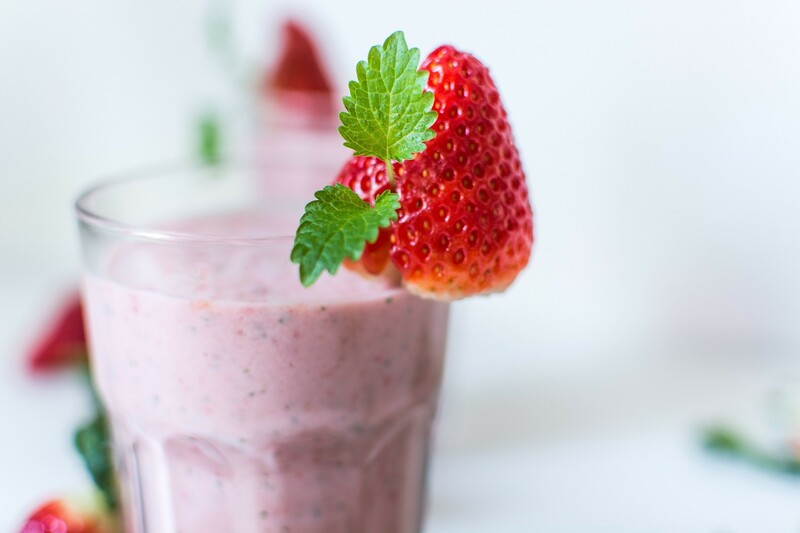 We recommend adding one 20-24g serving of protein per day via smoothie, vegetable juice or protein shake. For many people this will be adequate, but you can adjust the serving size based on your individual needs, which may be higher or lower. Protein plays an integral role in exercise and daily movement. You don’t need to be an athlete to experience these benefits. Day-to-day life and regular workouts create wear and tear on your body. Protein helps your body repair itself, rebuild muscle and get stronger. Taking protein before or after exercise can help you to maximize your physical performance. You don’t have to be a gym bunny! Whether you’re walking the dog or going for a jog with a friend after work, protein supplementation has been shown to reduce post-exercise muscle soreness and fatigue while enhancing your physical performance (42). Protein supplements have even been shown to help people recovery from an injury (43)! Remember, when it comes to your health and wellness, it’s not just about what’s cheapest. Cheap mass-made protein supplements are often filled with poor-quality protein and unnecessary fillers. Instead, see your supplements plan as an investment into your health and longevity. The HD Essential Protein Powder meets the above criteria. 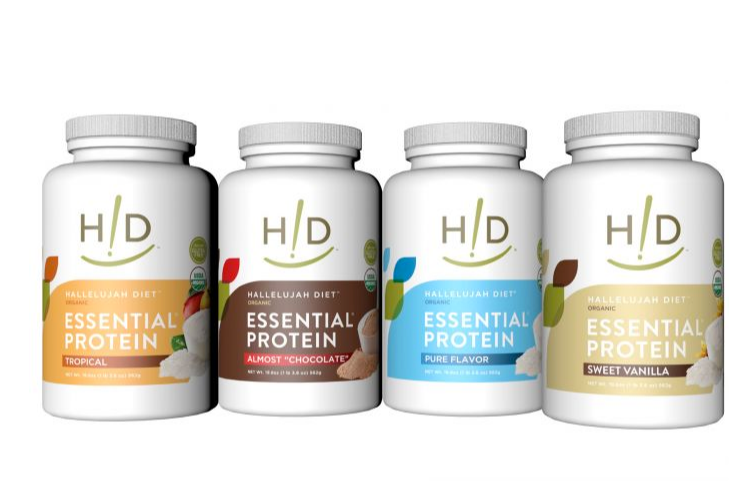 Hallelujah Diet’s Essential Protein products come in a variety of natural flavors, including Pure, Tropical, Sweet Vanilla and Almost Chocolate. Plus, they’re guaranteed to be free of common allergens like gluten, wheat, dairy, eggs, soy and lactose. 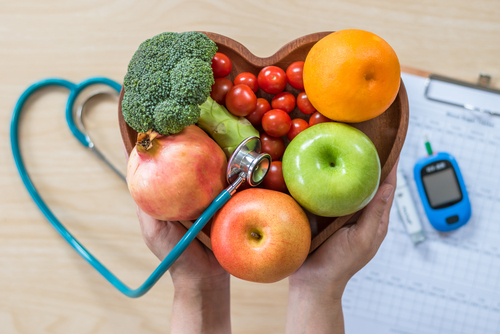 Remember, having optimal health is the only way that you will live your life to the fullest, and learning to fall in love with food again is a part of that journey. All good info we like it very much. Yes, too much sweets no good at all and we never eat any animal products! I am already on Hallelujah diet – I am 87 and going stronger every day! Thank you for all the information regarding our daily need for high quality protein. It is helpful to learn that the RDA recommends 10% of my calories need to be protein. I did not know that the best kind of protein supplement is one that uses isolates and concentrates from whole food ingredients that have been minimally processed. I appreciate reading about the benefits of hemp, pumpkin, and chia seeds.